Today at IFA 2017 in Berlin, LG announced the V30, its latest flagship phone. 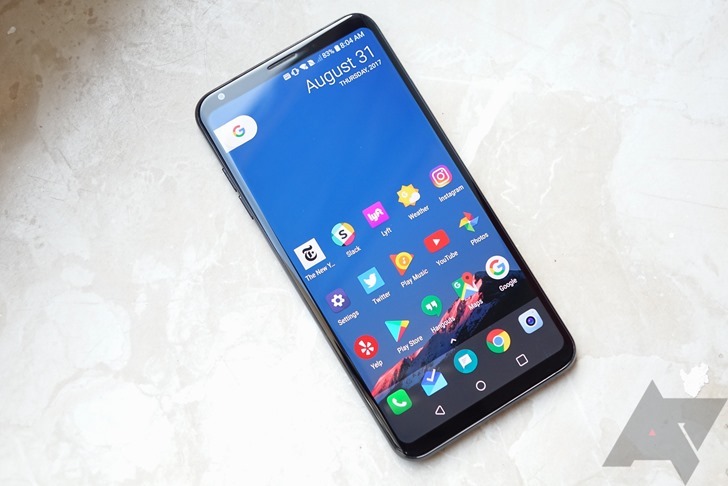 In the looks department, it follows closely in the footsteps of the G6, the company’s other premium offering from earlier in the year, and very much adheres to the current trend for minimal bezels and a large screen. Gone is the niche secondary display of its predecessor. This is a phone that clearly wants to be taken more seriously by mainstream consumers. LG is marketing the V30 as a “whole new video experience,” referring to both watching and recording video on the device. It’s hard to ignore the 6.0” Plastic OLED, Quad HD display with its 18:9 aspect ratio. It’s the first time LG has moved away from LCD panels (since the G Flex 2, anyway) and it should result in a more vivid viewing experience. It’s hard not to draw comparisons with Samsung’s S8 when looking at the front of this phone, and the curved 3D glass at the edge of the display certainly distinguishes the V30 from the G6. The Daydream compatible screen also benefits from Mobile HDR10. While the screen might be the first thing you take note of, LG wants the camera to make a lasting impression. The main rear camera is constructed from 5 plastic lenses with an additional glass lens at the front, a first of its kind in a smartphone (they’re usually all plastic). A 4% improvement in light transmittance is the stated benefit. Another smartphone first is the f/1.6 aperture of the standard camera, which is 16MP and also has OIS and should produce photos with a much improved dynamic range. The secondary camera has a 13MP wide-angle lens (120°) with EIS and the front camera is 5MP (90°). 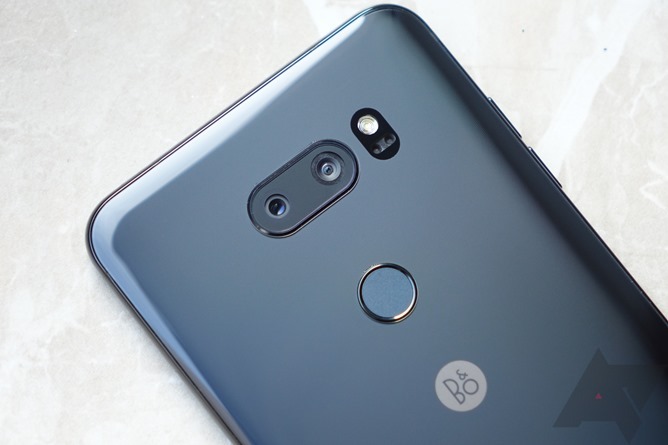 LG has slowly been shrinking its camera modules, and after a considerable reduction in the G6, the module on the V30 is 50% smaller than on its predecessor, the V20. 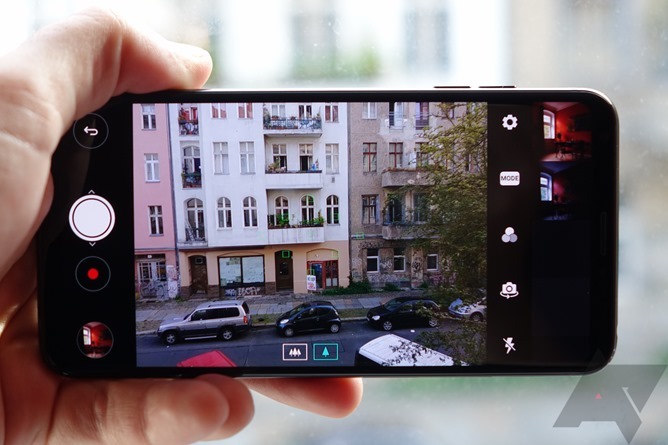 There are also a few software tricks intended to improve the camera experience, including a manual video mode for easier post-editing and progressive digital zoom with zoom-to-point. The Cine Effect feature allows you to select from different presets before shooting video, and there’s even going to be an LG-specific Google Assistant camera command. Qualcomm’s Snapdragon 835 will ensure this phone keeps pace with its competitors. It also has 4GB of RAM and two storage options, 64GB or 128GB, which can be upgraded up to 2TB with a MicroSD card. 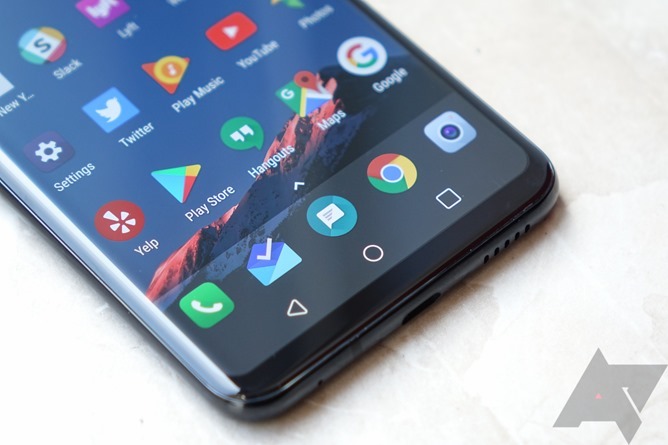 The V30 will run Android 7.1.2 out of the box, and LG said they’d hope to be able to share their Oreo update plans “by the end of the year, maybe.” That's a bit disappointing since the V20 was the first non-Google device launched with 7.0 Nougat. 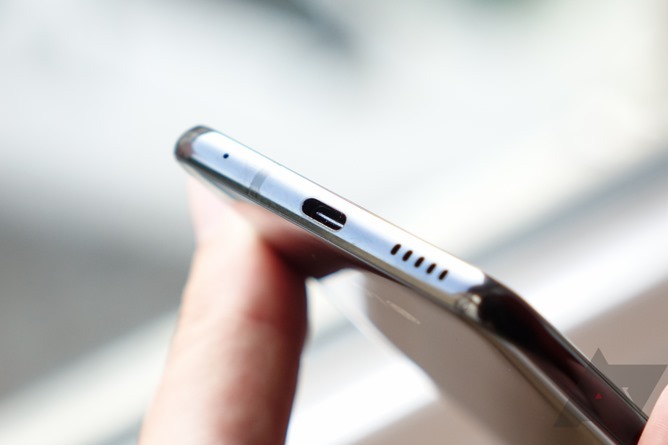 If there's one piece of news that's sure to delight many, it's that the V30 has a headphone jack. Audio from the V30 should sound good with Quad DAC and B&O Play branded speakers (plus bundled earphones in some markets). Lossless audio recording without distortion is made possible by 2 high-quality mics and a receiver. The phone is constructed from metal and glass to a military grade standard (MIL-STD 810G) and boasts Corning’s Gorilla Glass 5 front and back. Other features include a special voice unlocking command that can be set by the user (‘open sesame’ was the great example used by LG). You may be wondering if the loss of the second screen was even touched upon. 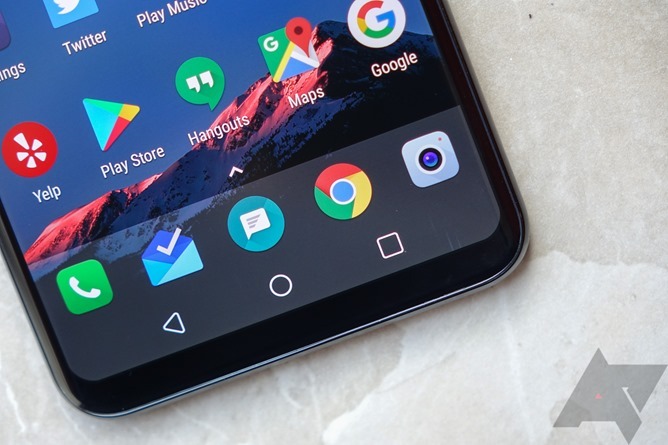 This had been replaced by an always on action bar on the V30’s screen, which turns into a floating action bar when the device is in use. This will offer similar functionality as the V20’s second screen, such as quick access to contacts, apps, and other tools. In what could be interpreted as a not-so-subtle burn intended for Samsung, LG talked up the cooling panel and heat pipe in the V30, which should stop the device from overheating. As we’ve come to expect from modern flagships, LG’s latest has a water and dust ingress protection rating of IP68. Wireless charging is also on board. There will be 4 color options to choose from when the LG V30 launches, the imaginatively named Aurora Black, Moroccan Blue, Cloud Silver, and Lavender Violet. There’s a Plus model that will be limited to certain regions globally, but the only discernable difference appears to be the extra storage of 128GB. 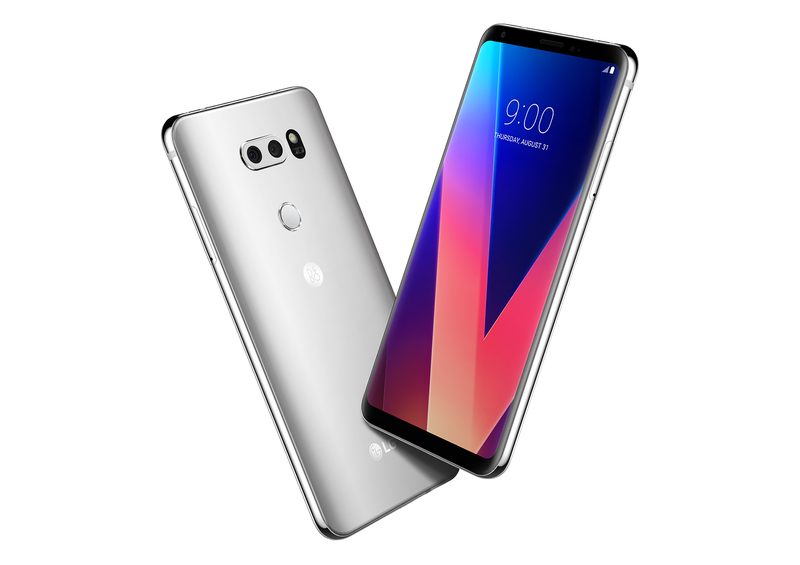 BERLIN, Aug. 31, 2017 ― LG Electronics (LG) today took the wraps off the eagerly anticipated LG V30, the latest iteration of the company’s V series flagship smartphones. 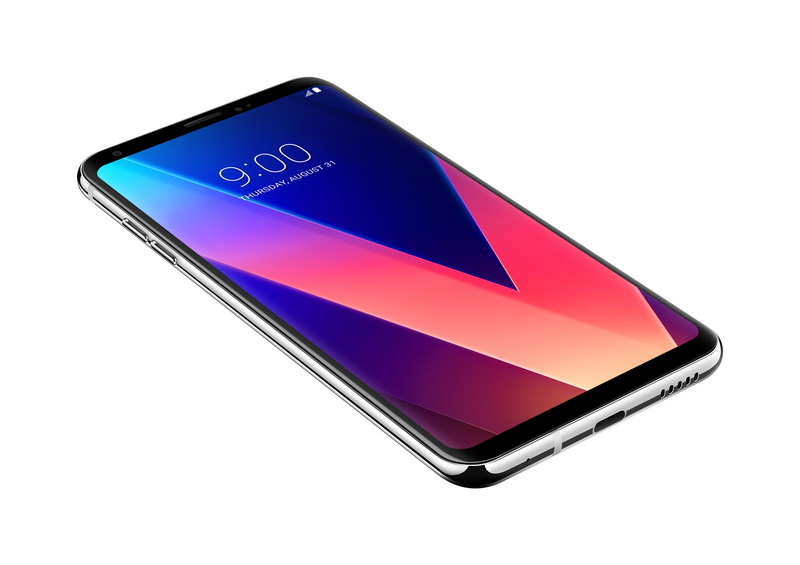 The LG V30 improves on the strengths of the V series phones in providing a whole new mobile experience and offering optimal multimedia features. The V30 features many industry innovations - the first F1.6 aperture camera lens, the first glass Crystal Clear Lens, the first OLED FullVision display, Cine Video mode for producing movie-quality videos, premium sound with advanced Hi-Fi Quad DAC, sound tuning by B&O PLAY, and Voice Recognition. The V30 sets a new standard in the evolution of premium smartphones. The LG V30 features powerful video capabilities that make it a leader in the era of smartphone videography. The main camera on the rear of the V30 features an F1.6 aperture that lets in more light for brighter, more dynamic shots. Paired with the glass Crystal Clear Lens which delivers more accurate colors and clearer images than a plastic lens, the V30 is the most capable image capturing device in a smartphone. The second lens in the V30 dual camera is an upgraded 13MP wide angle lens with two-thirds less edge distortion than in the V20. LG’s new Cine Video mode allows anyone to produce movies like a pro, thanks to its powerful Cine Effect and Point Zoom features. Users can now take high-quality videos enhanced by the cinematic hues of various movie genres with only a smartphone. While typical cameras only allow one to zoom in on the center of the frame, Point Zoom allows users to zoom in on any subject smoothly using the zoom slider, regardless of its position in the frame, another industry first. And Cine Effect provides a palette of 15 presets to give videos a unique movie-like look, from romantic comedy, summer blockbuster, mystery, thriller and classic movie, among others. LG V30 supports LG-Cine Log which allows for greater creative flexibility when capturing videos. With the ability to preserve a wide dynamic range and color gamut, LG-Cine Log videos files can save far more accurate image details. LG-Cine Log also allows for recording video using log gamma curve for maximum flexibility in producing the look the user wants during post-production. Photo capturing is even more advanced with the new V30. The camera’s Manual Mode takes on a whole new level of capability with Graphy. With Graphy, any shutterbug can produce quality photos simply by choosing the image and pressing the shutter. Available in Manual Mode, users can select professional images from the Graphy website or mobile app and apply the same presets such as white balance, shutter speed, aperture and ISO to photos taken with the V30. 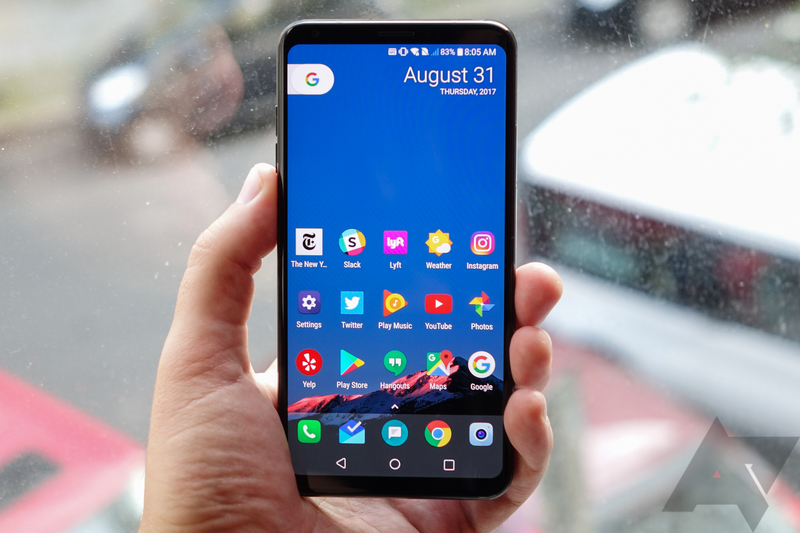 The LG V30 builds on the strengths of the OLED FullVision display in a body that is surprisingly compact, slim and light. Even with a large 6-inch 18:9 OLED FullVision display, the V30 is 8mm shorter and 3mm narrower than its predecessor, resulting in a firmer, more confident grip. With a thickness of only 7.3mm and tipping the scale at 158g, the V30 is the lightest among smartphones in the 6-inch and over category. The tempered glass that covers both the front and back is curved all the way around the edge, resulting in a sleek, integrated look and feel. The advanced dual camera module featuring a 16MP standard angle camera and a 13MP wide angle camera is smaller than the module in the V20, resulting in the near flat rear profile of the V30. For the smoothest and sharpest images, the main standard angel camera is supported by Optical Image Stabilization (OIS), Electronic Image Stabilization (EIS) and Hybrid Auto Focus that combines both Laser Detection Auto Focus and Phase Detection Auto Focus. The QHD+ (2880 x 1440) OLED FullVision display offers faster response time with minimal afterimages when viewing an action-packed movie or playing a game with quick movements. The V30 takes full advantage of this rapid response time and the exceptional graphics delivered by the robust Qualcomm Snapdragon™ 835 Mobile Platform to support Daydream, Google’s platform for high quality, mobile VR. With Daydream, users can explore new worlds, enjoy personal VR cinema and play games that put them in the center of the action. LG has equipped the V30 with a Hi-Fi Quad DAC with audio tuning by sound engineers from world renowned audio brand B&O PLAY - delivering an authentic and superior acoustic experience - as well as a set of earphones by B&O PLAY, also finely tuned for an optimal listening experience. 1 Digital filters adjust the pre- and post-ringing of the impulse response of music with three filters which users can select. Four pre-programmed presets mix and match sound frequencies and decibel scales to produce the quality of audio found in professional earphones. The V30 is the first global smartphone to support MQA (Master Quality Authenticated) technology that allows for the streaming of high-resolution audio. MQA captures the sound of the original studio master and folds it into a small file to make high-resolution audio easy to stream. The V30’s recording capability is upgraded as well, with a receiver that doubles as a microphone to capture a broader sound spectrum, from gentle chimes to thunderous drums. The Google Assistant on the LG V30 will feature unique capabilities specific to the phone. Saying “Ok Google, take a romantic Cine Video” will activate Cine Video preset to Romantic. Say “Ok Google, take a wide angle selfie” to launch the camera app with the setting on the front-facing camera wide angel mode. 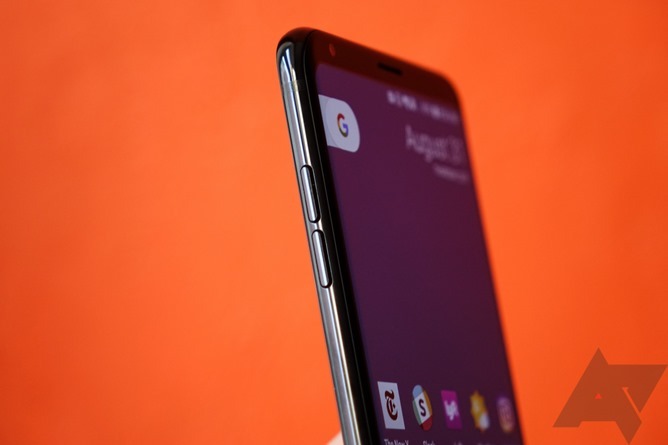 The Google Assistant on the V30 takes advantage of advanced signal processing enabling users to use the voice command, “Ok Google” even when loud music is being played. In addition, select LG appliances including a washing machine, dryer, refrigerator, air purifier, oven, air conditioner and robot vacuum are compatible with the Google Assistant when using the V30 and Google Home. Users can say, “Ok Google, talk to LG to wash my clothes” to start a load of laundry. The convenience of the Second Screen which was introduced in past V series smartphones has evolved into a new Always-on Display (AOD) feature and Floating Bar. When the display is off, the AOD replaces the Second Screen by providing shortcuts to Quick Tools and Music Player without having to turn on the display. The optional semi-transparent Floating Bar can be customized with up to five apps for easy access to the most used applications. When not needed, the Floating Bar can be dragged off to the side so it doesn’t take up any screen space. 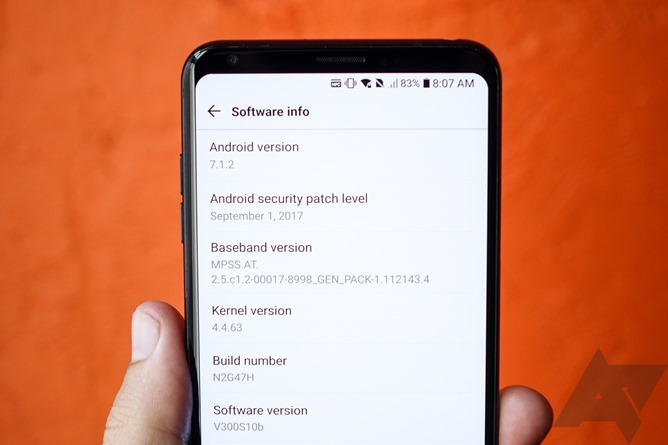 Now with four different options, security on the LG V30 is more advanced than ever. With Face Recognition, the V30 can be unlocked instantaneously using the front facing camera and without pressing any buttons even when the phone’s display is off. Voice Recognition uses a combination of the user’s voice and user-defined keywords (optimally three to five syllables) to unlock the V30. The reliable Fingerprint Sensor resides on the rear of the phone for fast, accurate security and Knock Code allows tapping a pattern on the screen to unlock the V30. The V30 combines solid durability with safety with a slim and light design. One of the design aspects in the V30 that enhances durability and makes for tensile strength is an H-Beam structure, a construction technique found in modern buildings that integrate the edge with a metal frame. 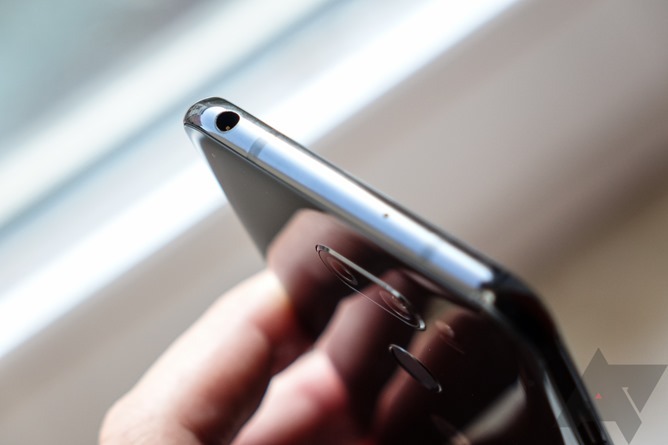 The phone also features Gorilla Glass 5, Corning’s most advanced tempered glass, on both the front and rear. The V30 meets U.S. Department of Defense requirements for durability, having passed 14 categories of the MIL-STD 810G Transit Drop Test making it compliant for military operations. 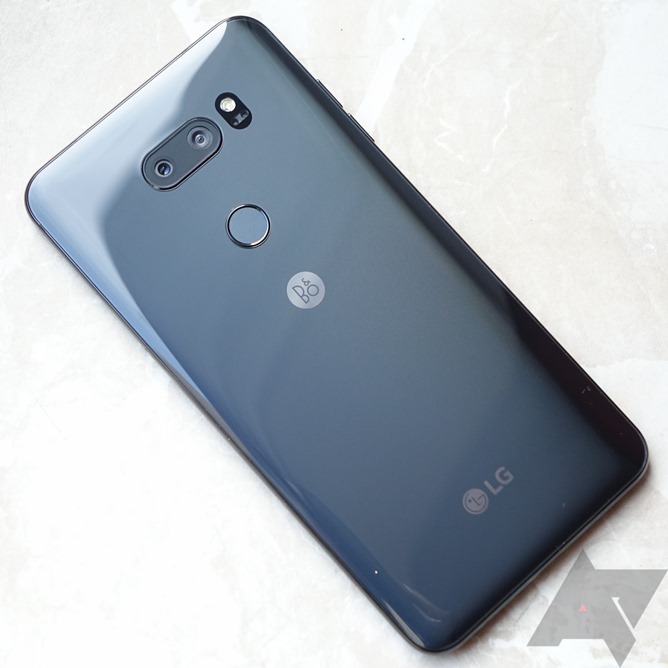 LG applied a heat pipe and a cooling pad in the V30 to dissipate heat quickly. The V30 can be used in any situation without worry thanks to its IP68 water and dust resistance. The phone is perfectly sealed from dust and can be immersed in up to 1.5 meters of water for as long as 30 minutes without impacting the function. With Quick Charge 3.0, the V30 charges from empty to 50 percent in around 30 minutes. The V30 also offers wireless charging for the ultimate in convenience. Customers of LG V30 will receive USD 100 worth of in-game purchases when downloading and installing the popular game Beat Fever by WRKSHP. The games take full advantage of the phone’s immersive OLED FullVision display and high-quality audio capability. 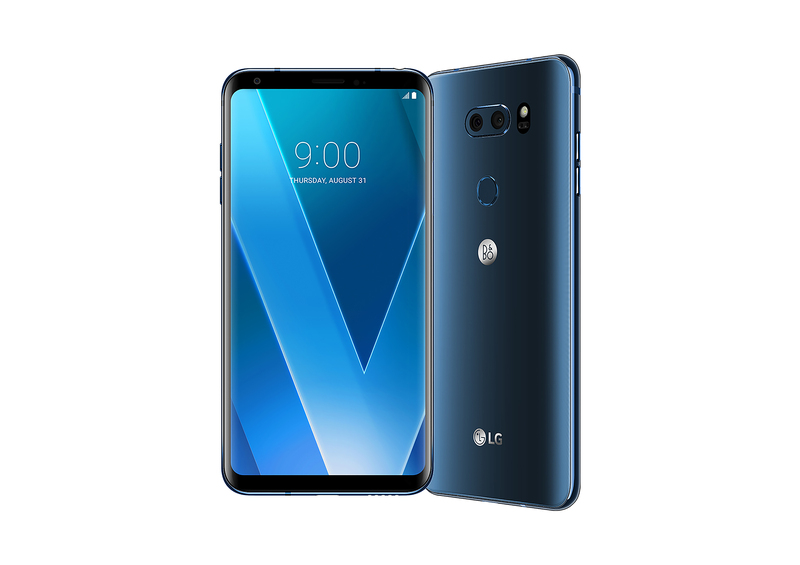 The V30 will become available to consumers in South Korea starting on September 21 and will be followed by key markets in North America, Asia, Europe, Africa and the Middle East. 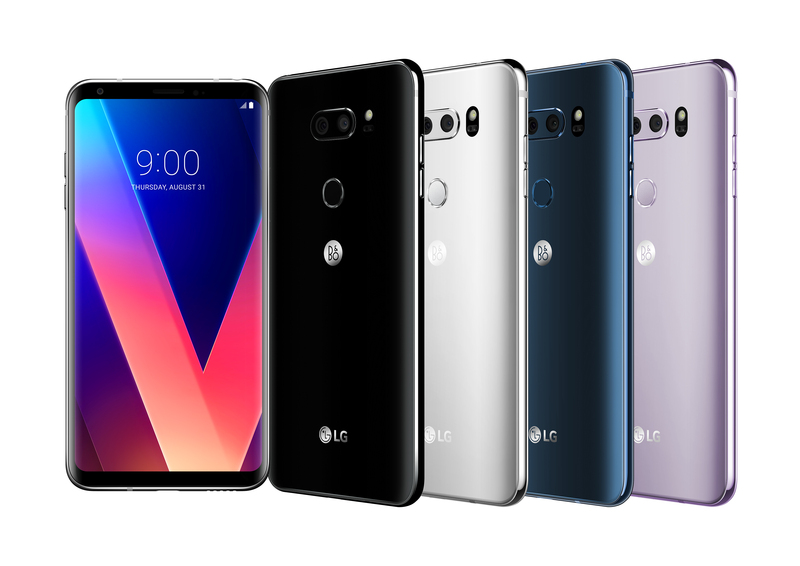 The V30 with 64GB ROM will come in four beautiful elegant hues: Aurora Black, Cloud Silver, Moroccan Blue and Lavender Violet 2 while the LG V30+ with 128GB of storage will be available in limited markets. Visitors to IFA 2017 are encouraged to stop by LG’s booth in Hall 18 of Messe Berlin to see the exciting LG V30 for themselves. 1 Only available in some markets. 2 All colors not available in every market.